This is a plea for donations to a charity I believe in. If that does not interest you, feel free to move on, but I appreciate you stopping by. Maine Adaptive is a non-profit organization here in my great state that assists people with all levels of disabilities achieve things they never thought possible. 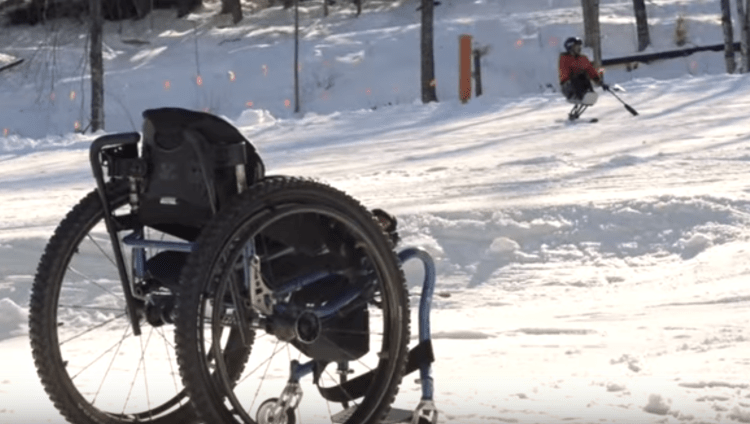 By providing sports and outdoor activities to participants AND their families year-round, Maine Adaptive is driven by fundraising. As some of you may know, aside from Firelance Media, I also work for Outside Television as a live show host and producer for Sunday River TV. Nearly every day I get to see the Maine Adaptive crews working with athletes of all ages. Whether it is skiing, snowboarding, or mono-boarding, these amazing people get outside and live their dreams on the slopes of Sunday River. The program is not limited to this one resort, however. As a statewide organization, Maine Adaptive has locations everywhere in Maine. One of the largest fundraising events of the year is the Ski-A-Thon, held in March. This year we (meaning Sunday River TV) are trying to raise funds for Maine Adaptive by sponsoring a team in the Ski-A-Thon. We setup a dedicated webpage that links to the donation site and we are constantly promoting the fundraiser on our live show. Our initial goal was to raise $10,000, but quite frankly the donations have been lacking. The reason I am using the Firelance Media platform specifically to spur donations is because of the work that Maine Adaptive does with veterans. As part of our live show, I have met with and interviewed several participants of the program and can say first-hand that it is helping not only the vets, but their families as well. I have been inspired by some of the stories shared publicly and privately. We would love to be able to make it to the $1000 mark in donations, but can only do so through your generous support. If you are interested in donating, you can find the link here. Here is a video specific to the Veterans No Boundaries program. For more information on Maine Adaptive, they can be found here. Thanks in advance for any help. Good Karma points are headed your way. 0 Comments on "Maine Adaptive Veterans No Boundaries Needs Your Help"